McGeough Lamacchia Realty reports new short sale timeline requirements for Fannie Mae and Freddie Mac will improve the short sale process and prevent more foreclosures. There is no question that this will help short sales and the market as a whole. The Federal Housing Finance Agency (FHFA) is directing Fannie Mae and Freddie Mac to streamline their short sale timelines in order to help more homeowners avoid foreclosure. John McGeough and Anthony Lamacchia, co-brokers and owners of McGeough Lamacchia Realty, believe these improvements in communication timelines between servicers and borrowers will significantly improve the short sale process. In a news release dated April 17, the FHFA outlines new requirements for short sales including the requirement that mortgage servicers review and respond to requests for short sales within 30 days from receipt of a short sale offer. In the past, lenders have been slow to responding to short sale offers which has frustrated both home buyers and distressed homeowners. Buyers will now get a quick response when they make an offer on a short sale home, and distressed homeowners will be able to move out of their homes into more affordable housing sooner and avoid foreclosure. There’s been a lot of pressure recently for banks to improve response times for short sales. In February of this year, Senators Lisa Murkowski (R-AK), Scott Brown (R-MA), and Sherrod Brown (D-OH) introduced a bill, the “Prompt Notification of Short Sales Act,” which requires mortgage lenders to make a prompt decision on whether to allow a short sale at the request of a home buyer. The bill is currently awaiting referral to committee. These new communication timelines apply to both Home Affordable Foreclosure Alternative (HAFA) short sales and regular short sales. They do not guarantee more HAFA short sale approvals, however. HAFA short sales are available for mortgages that are owned or guaranteed by Fannie Mae and Freddie Mac. McGeough Lamacchia Realty says the problem is Fannie Mae and Freddie Mac have been resistant to approving HAFA short sales. McGeough Lamacchia Realty believes that while the guidelines may not increase HAFA short sale approvals, they are a step in the right direction in making short sales easier and will help more people avoid foreclosure. According to the new guidelines, loan servicers will now be required to: Provide weekly status updates to the borrower if the short sale offer is still under review after 30 calendar days; Review and respond to requests for short sales within 30 calendar days from receipt of a short sale offer and a complete borrower response package; Make and communicate final decisions to the borrower within 60 calendar days of receipt of the offer and complete borrower response package. The new guidelines will go into effect for new short sale evaluations conducted on or after June 15, 2012. But servicers are encouraged to implement these guidelines sooner. McGeough Lamacchia Realty is the number one Real Estate Agency in Massachusetts and named one of the Top 100 Real Estate Teams by the Wall Street Journal in 2010. 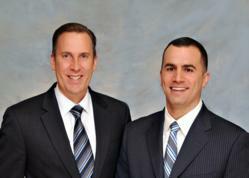 They are a full service real estate agency specializing in short sales serving Massachusetts and New Hampshire.